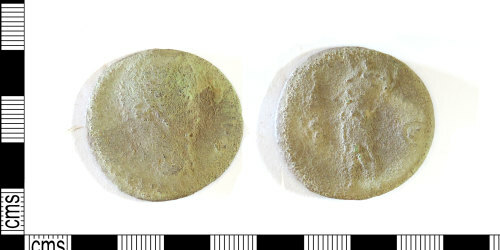 Copper alloy sestertius of Hadrian (AD 117-38), dating to AD 117-38 (Reece Period 6), illegible reverse. Mint of Rome. Copper alloy sestertius of Hadrian (AD 117-38), dating to AD 117-38 (Reece Period 6). Illegible reverse. Mint of Rome. Copper alloy sestertius of Hadrian (AD 117-38), dating to c. AD 117-9 (Reece Period 6), illegible reverse. Mint of Rome.